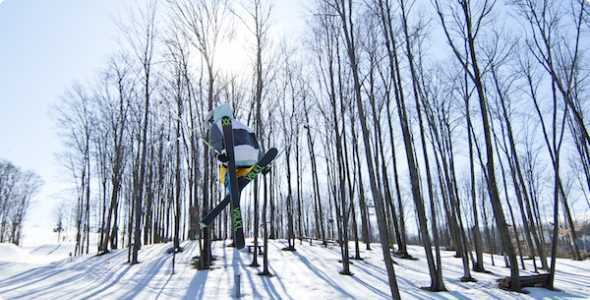 Shanty Creek, located in Bellaire, Michigan is a four-season resort founded in the early 1960’s and has continued to change the face of winter snowsports in Michigan ever since. 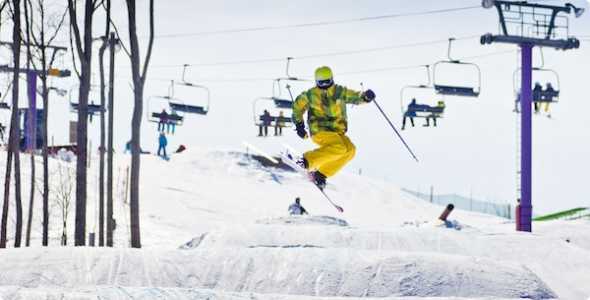 Home to both Summit and Schuss Mountains, Shanty Creek boasts an excellent mix of runs sure to challenge everyone from beginners to advanced skiers and snowboarders alike. A number of ticket and rental rates are available depending on the time of day you plan on hitting the slopes. Rates do vary depending on the time of season and you can expect a price increase for select weekends and Holidays. Discounts and promos are ongoing throughout the season at Shanty Creek so be sure to check with the resort before you plan your trip. Lessons are available 7 days a week and are offered to both groups and individuals of all skill levels. There is always something happening at Shanty Creek, events throughout the season, Nastar racing on the weekends.